Seriously, it's great. The first issue came out a couple of weeks back, and it's one of the funniest comics I've read in some time. 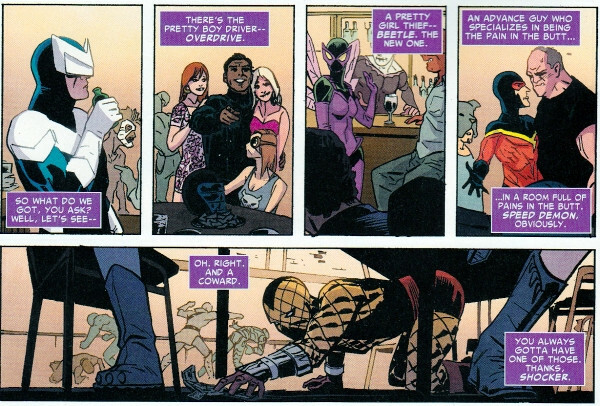 It focuses on a group of Spider-Man enemies called the Sinister Six (even though there's currently only five of them) and their day-to-day trials and tribulations, many of which are caused by each other. If this sounds familiar, it's because it's basically Hawkeye, but re-tooled for supervillains. And that's fine, because it works, really, really well. Minor spoilers below. I mentioned before that I love working class villains, and it's especially true here. Other villain-centric books tend to have, as a major story component, why the group continues to run together. In the Suicide Squad, it's because they're all forced to work for the government. In Secret Six, the villains are mercenaries that have a weird sort of morality. What this means, to put this in as nerdy terms as possible, is that comics about villain teams tend to have a Lawful Evil sort of vibe most of the time. SFoSM, on the other hand is basically a group of Chaotic Neutral jerks who stick together and are friends, of a sort, largely because no one else will have them. There is constant, casual backstabbing throughout, but it's always played for laughs. The characters are largely jerks, cowards, bullies, or some combination. Their leader-by-default gets no respect from any of them, to the point where they openly mock him while visiting him in prison. 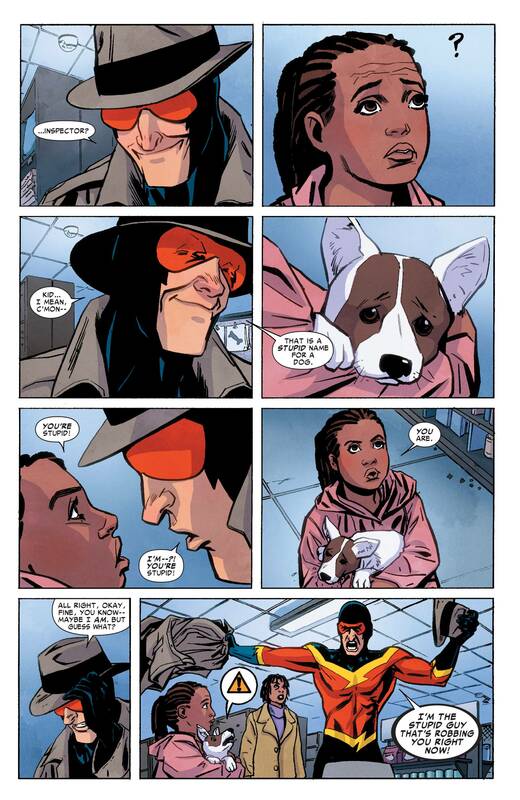 Their speedster literally steals a puppy. Stop reading this review and go pick up the book. Like I said, the first issue came out in the last couple of weeks, and it is absolutely worth your money.